This item should be used with OEM-00125U-01 series Optical Encoder Module. This item should be used with OEM-00520U-01 series Optical Encoder Module. This item should be used with OEM-030U-01 series Optical Encoder Module. The 1.25 micron (0.000049") resolution Optical Encoder Module provides digital quadrature outputs. This item should be used with LS-00125U-01 series Linear Strip. 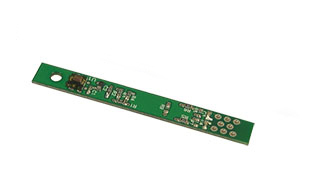 The 5.2 micron (0.0002") resolution Optical Encoder Module provides digital quadrature outputs. This item should be used with LS-00520U-01 series Linear Strip. 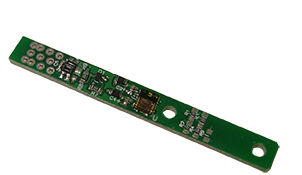 The 30 micron (0.0012") resolution Optical Encoder Module provides digital quadrature outputs. This item should be used with LS-030U-01 series Linear Strip.